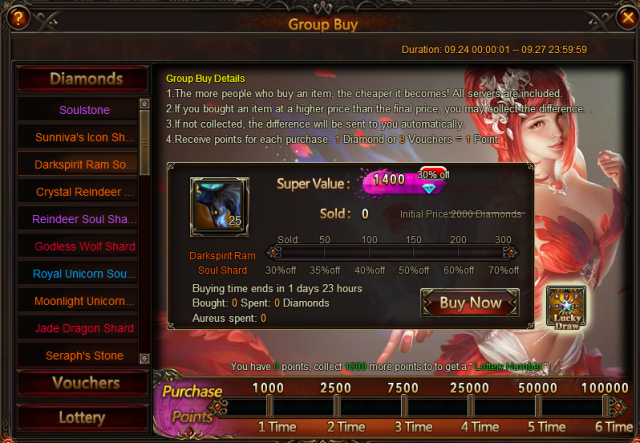 Group buy consists of 2 different components, diamond purchase and voucher purchase. During the event, the more players who purchase the same items, the higher discounts they can get for the items. When you first buy this item, you will get 30% percent off, which used to be 10% before, and finally you will get up to 70% settlement if it reach certain amount of purchases at the end of the event. 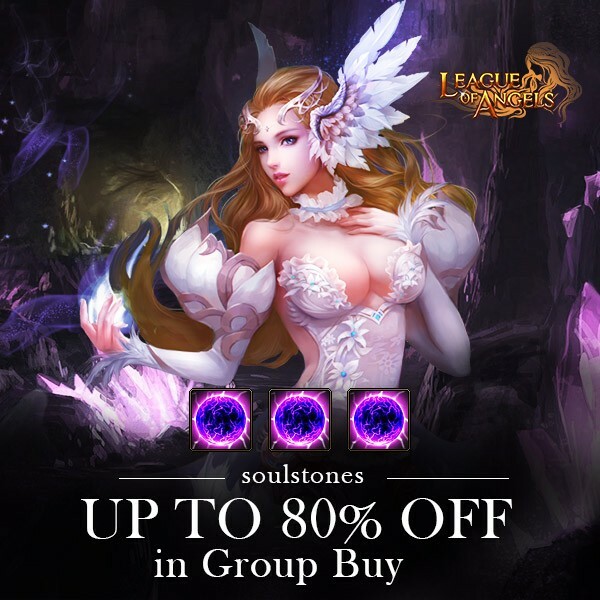 The items in this event include Soulstone, Dark Soulstone, Light Envoy Shard(which will be available after the version update) , Sunniva\'s Icon Shard, Darkspirit Ram Soul Shard, Crystal Reindeer Soul Shard, Reindeer Soul Shard, Seraph\'s Stone, Blessed Stone, Gem Enhancement Stone, Refining Stone, Element Crystal, Runestone, Ruby Herosoul, Aegis Shard, Angel Tears, Enchanted Ore, Synth Scroll, Adv. Energy Card(50), Dragonsoul EXP Pack (100), Element Scroll, Energy Vitamin, and so on. 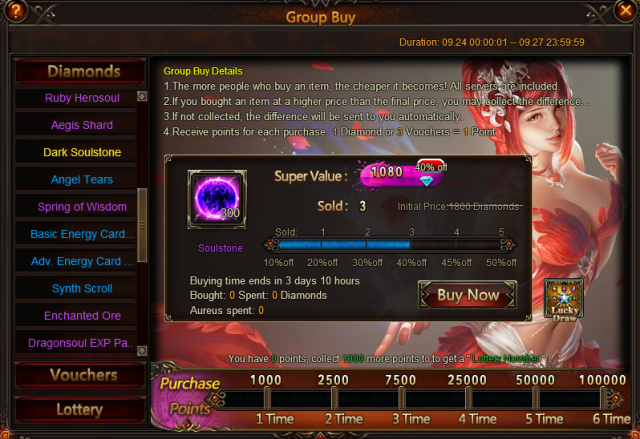 1.During the event, the more players who purchase the same items, the higher discounts they can get for the items. The discount can be as high as 70% off. More exciting events are coming up through Sep 24 to Sep 27 (server time), check them out in the in-game Hot Events menu now! LOL. its cheaper,!!! but doesnt matter cuz ogrim gets 100000000 diamonds and will get 500000000000000000 soulstones... so this event is meant for ogrim to win hoarfrost. *nods* I bet they will be. I would so love her too. 2019-4-22 08:58 GMT+8 , Processed in 0.075005 second(s), 52 queries .